* includes morning tea, lunch and dinner, as well as after hours supervised study till 8pm on weeknights. An additional $850 is charged for all students who commence in Year 11. The above fees do not include any incidentals or GST charges. 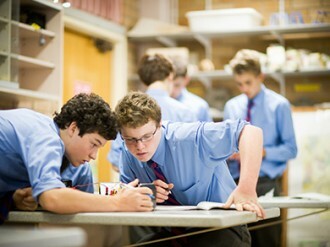 Annual changes in fees and charges are notified by the Headmaster with the first instalment sent in January each year. When a boy is registered for possible future enrolment, an Application Fee of $300 (inc. GST) is payable. This amount is not refundable. A non-refundable registration fee of $3,200 is payable before a boy’s enrolment can be confirmed. Withdrawal from the College requires one (1) term’s written notice to the Headmaster. The notice must be given in the term preceding the last term for which a boy attends the College. In the event this does not occur one (1) term’s fees are payable. Laptops and other College property provided must be returned prior to departure. Students who do not have Australian citizenship or are not Australian residents are required to pay the College’s full fee paying international student fee. For more information on enrolling international students see the international students section of this website. 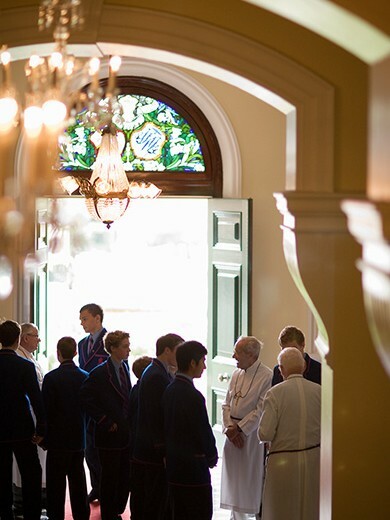 $65,300 per annum (for boys commencing in Year 11 an additional $850 is required). A detailed estimate will be provided to parents outlining all fees and charges required for pre-payment no later than 30 November in the preceding year. The College must receive this pre-payment before a confirmation of enrolment can be issued for the Educational Student Visa. The pre-payment includes educational charges and laptop rental as well as other estimated incidentals. Uniforms and text books are not included and are the responsibility of parents. The College seeks to maintain its fees at affordable levels. This is based in part on the continuing support of its voluntary building fund to maintain and develop facilities resources for the students. There is an expectation that all families will endeavour to contribute to the College Building Fund at $300 per instalment. These donations are tax deductible and a receipt will be issued. Fees may be paid up to two (2) years in advance provided they are paid no later than 30 September in the year immediately prior to that to which they first apply. They are paid at the rate applicable in the year which they are calculated. In addition, an estimate of all likely charges for each prepaid year is also payable on the same basis and must be added to the advance payment of tuition and/or boarding fees. All fees for the current year must be paid in full. Fees in advance for periods greater than two years may be negotiated by contacting the Director of Business Services on email dbs@joeys.org or telephone +61 2 9816 0900.